Can you increase the value of something simply by inventing a story about it? Joshua Glenn and Rob Walker set out to answer this question with a simple experiment. They purchased roughly 200 items from thrift stores at an average cost of $1.25, invented stories about each, and sold them on eBay for nearly $8,000 – a 30x plus increase. The results are published in Significant Objects (available on Amazon) and show the power of stories to perception and value. The addition of a story is certainly one important aspect of the changed value, but the objects took on another change that likely contributed to the value shift as well. Each item became special and exclusive by being part of the experiment. 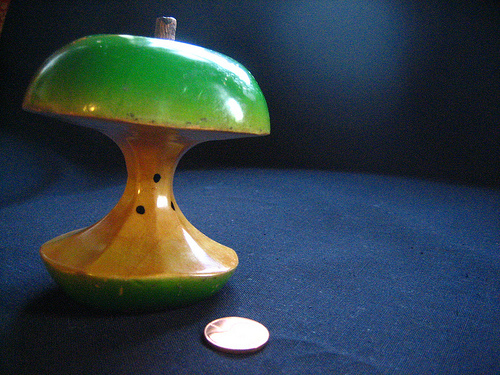 Instead of buying a simple wooden apple core (originally $1 from the thrift show), it is now “Object 45 of 50 – Significant Objects v3” and sells for $102.50. It is different from all other copies of that wooden apple core. While not fully exclusive, a different Apple, the one that makes computers, software, and consumer items, offers very limited (and therefore close to exclusive) access to its Worldwide Developers Conference (WWDC). Tickets to this event are limited to a few thousand, despite demand likely in the tens of thousands, and tend to sell out in a couple of hours. Yes, hours. Simply attending the events makes you exclusive, increasing the value. When was the last event you produced an event that sold out in two hours? Often the industry leans towards “early bird” pricing to attract ticket buyers – not very exclusive for the attendee. Many Kickstarter (@kickstarter) projects offer exclusive Limited Edition rewards to attract early supporters with special colors, versions, or experiences. These differentiate higher levels or earlier support with more exclusivity. Items do not need to be exclusive or limited to increase in value; simply being different can be enough. Differentiation is an important element of successful marketing regardless of availability (exclusivity). In the Significant Objects collection there is a brass boot and porcelain shoe, number 3 and 4 in the top 10. While similar, each has a different story making it stand out from the others. Several years ago JavaOne (@JavaOneConf) experimented with higher-priced packages that offered reserved seating and name badges with a special indication. Access to content was the same and anyone could buy the package at any time, yet a surprising number of these “special” packages sold. Attendees were looking to differentiate themselves from the crowd. 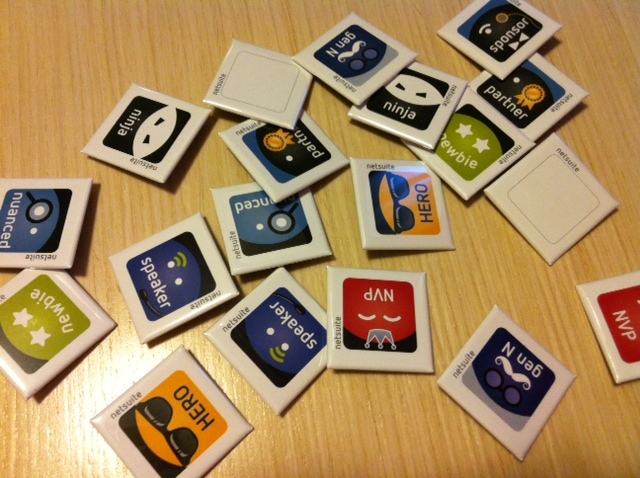 NetSuite (@netsuite), at their 2012 SuiteWorld event, updated the “attendee ribbon” concept with a series of buttons allowing the attendees to self identify, differentiate, and identify others in a creative and expressive way. Why does different and exclusive matter? Because being or having something special makes you feel special. In some cases, folks are willing to pay (extra) for it. 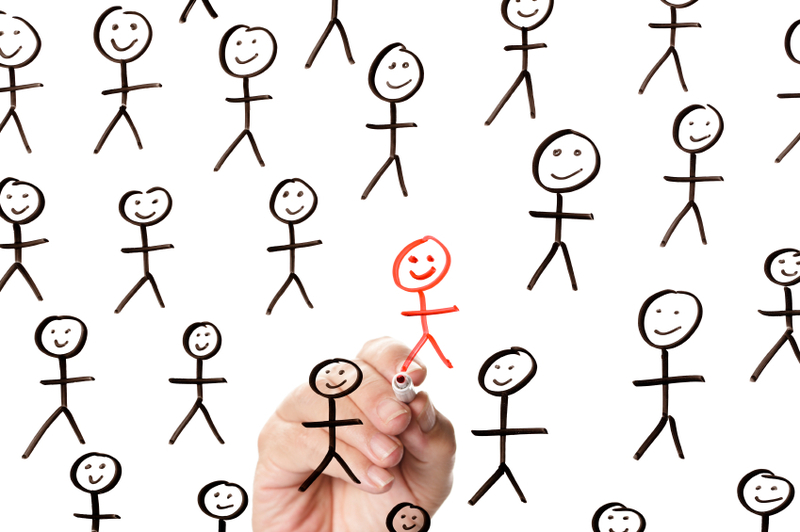 How does your experience marketing make the audience feel special? What are they getting that makes them feel exclusive or different from the crowd? Note: As always, the desire of Janus Dialogs is not to adjudicate the appropriateness of any trend, but to bring it to the forefront for consideration by the caretakers for the shared moments in time we call experience marketing. I think it makes your point! 11. A Honda Civic hybrid starts at $24,200 and gets 44 miles per gallon. A Civic with a normal gas engine starts at $16,000 and gets 39 MPG. If you drive 15,000 miles a year and gas averages $4 a gallon, it will take 47 years for the hybrid to justify its cost over the traditional model. How Celebrities and Copy Cats create “Janus Moments”. The only thing we have in common is that we are all different. Too Dumb, too Smart, or Just Out of Alignment?